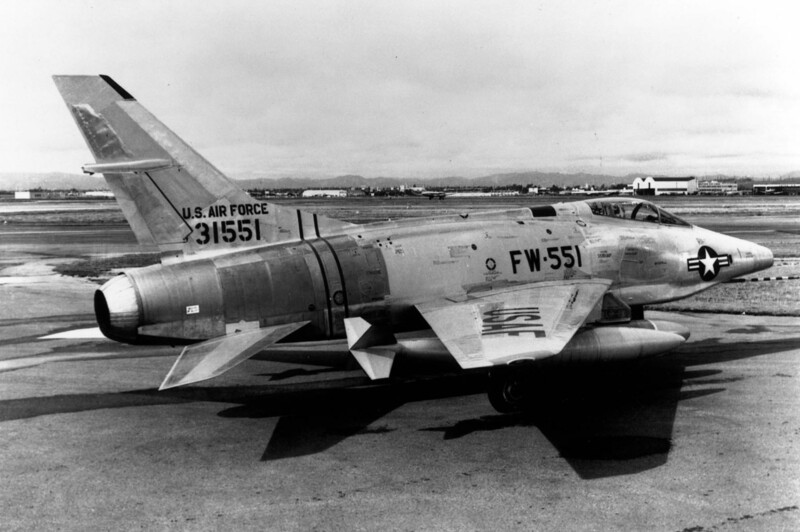 The first YF-100A’s first flight was on 25 May 1953, seven months ahead of schedule and achieved Mach 1.05. 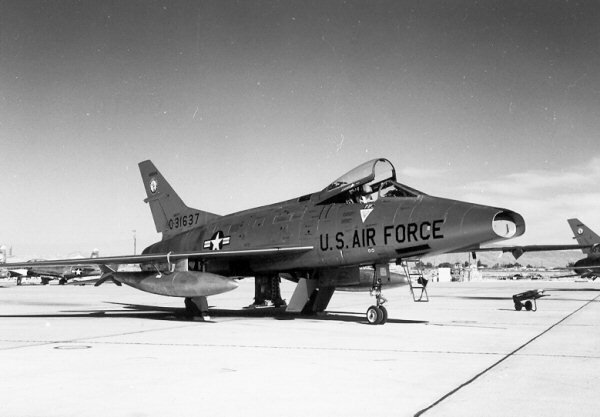 The second YF-100A flew on 14 October 1953. 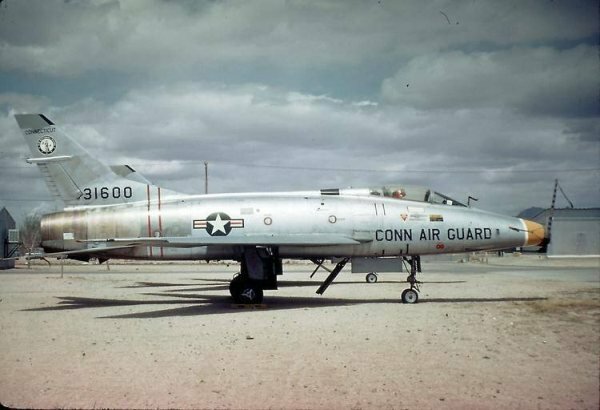 The F-100A model started production in May 1953 and 203 aircraft were produced. 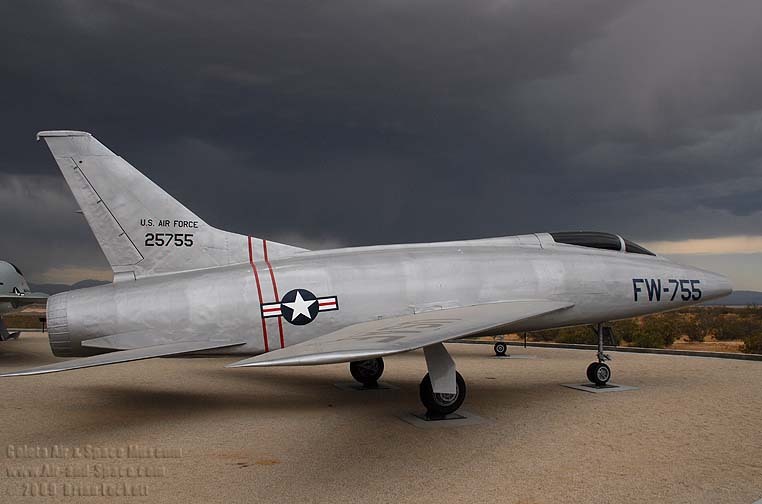 The A model was designed as a day fighter with internal 20 mm cannons and missiles. 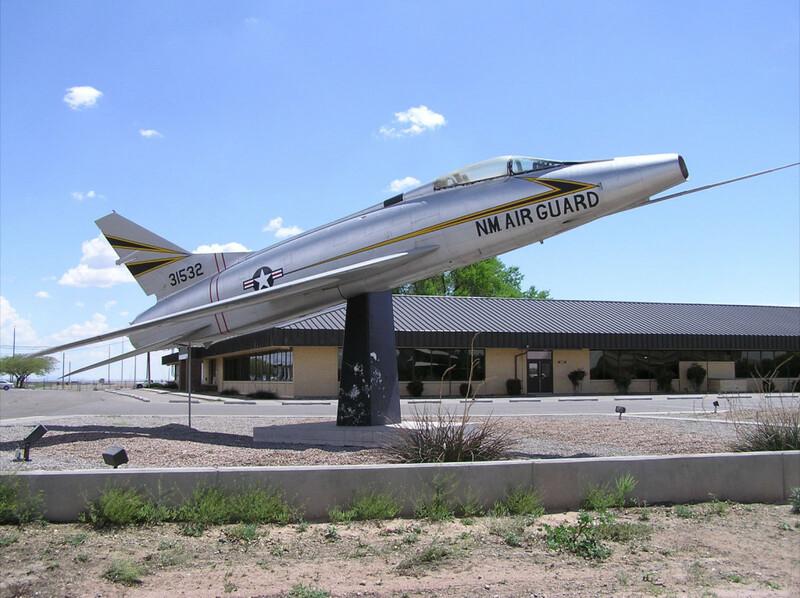 There were no provision for external stores. 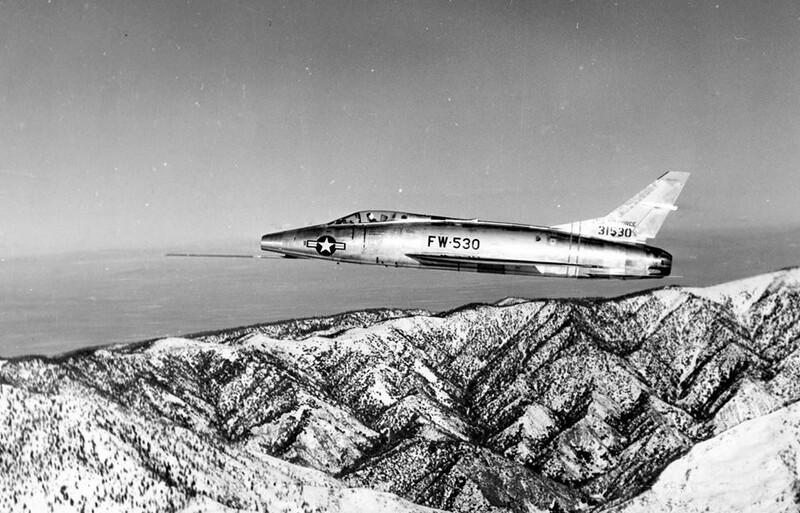 The first A models also had a shorter vertical stabilizer than the YF-100A to improve speed but this lead to longitudinal stability problems, especially at higher angles of attack. 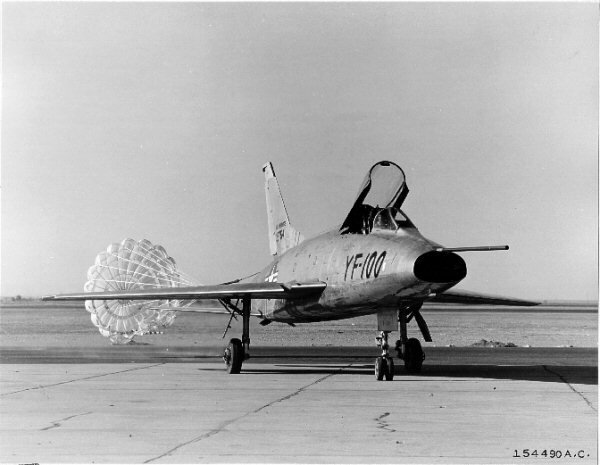 The tail was later replaced with much larger one after several test pilots complained about control problems and one lost his life during a high speed test run. 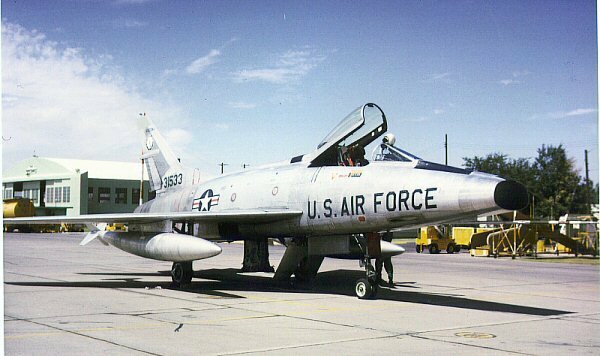 The 479 Fighter Wing at George AFB received its first F-100A on 27 September 1953, but did not achieve operation ready status until September 1954. 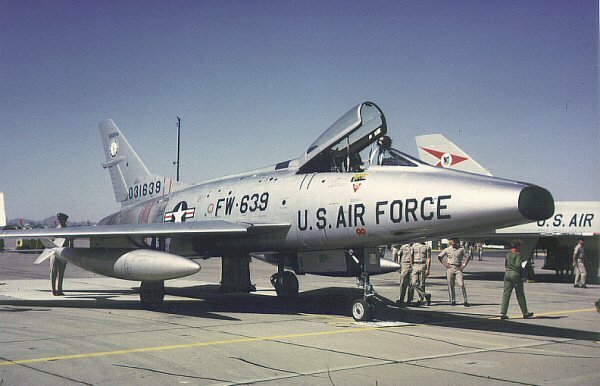 The Air Force started phasing out the F-100A in 1958 with the last aircraft leaving active duty in 1961. 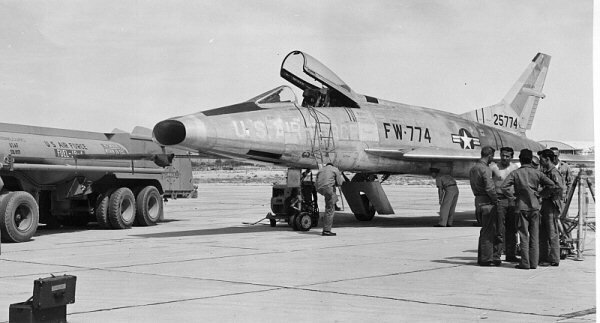 Tensions over the Berlin Wall prompted the recall of the F-100A’s in 1962. 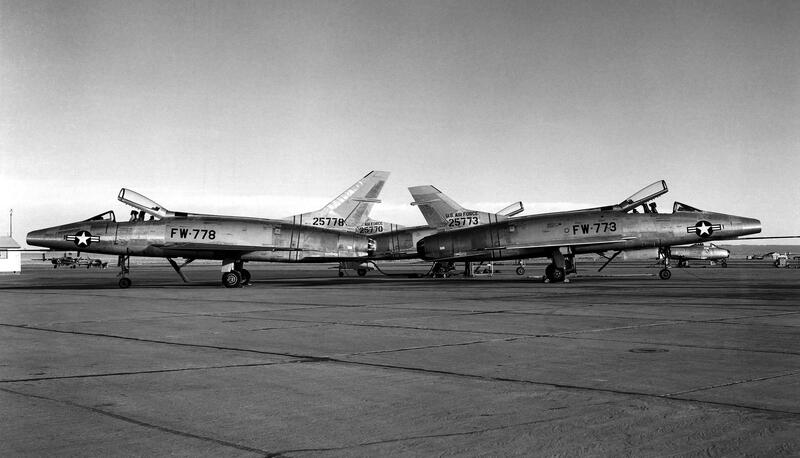 They were finally retired in 1970. 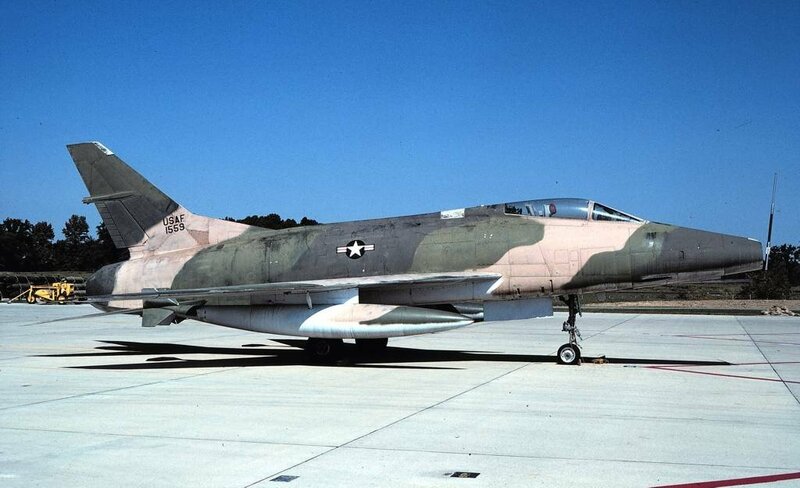 Operation Slick Chick modified six F-100A’s for photo reconnaissance in 1954 and they were designated as RF-100A’s. 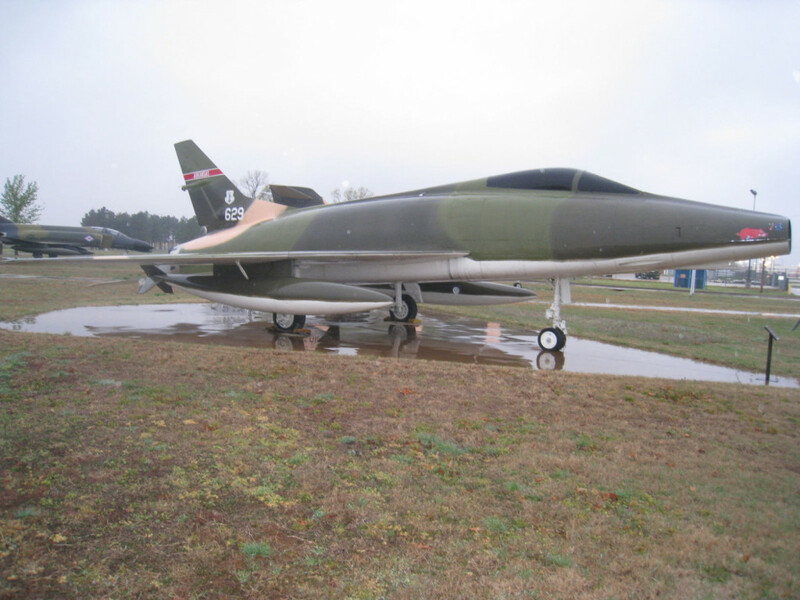 They had no armament and carried six cameras in the gun bay and bulge on the lower fuselage.